This tutorial will review the configuration of affiliate programs on your CubeCart website. This is a good feature as it may bring more revenue from your existing customers, by bringing more people to your website. First, you need to log into your website as administrator. 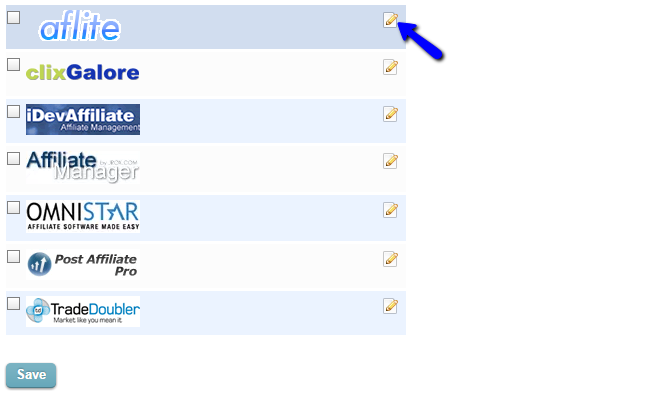 Locate the Modules section from the left-side menu and then click on the Affiliate Trackers. You will see a list with all available affiliate programs on your website. First and foremost, you will have to consider the affiliate that you wish to use for your clients. You will need an active account on their official website, which will allow you to set it properly. Either way, to enable an affiliate on your CubeCart website, simply click on the Edit button next to it. Check the box next Status and edit the details of the affiliate module you have selected.